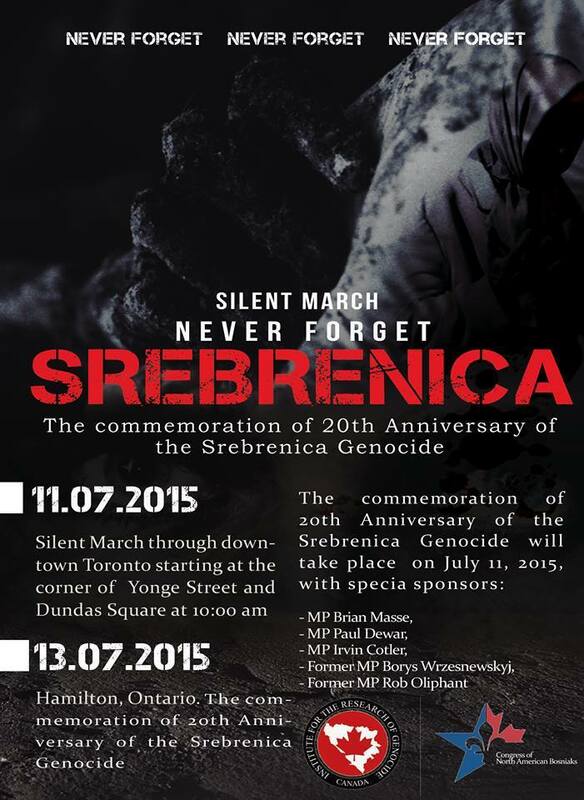 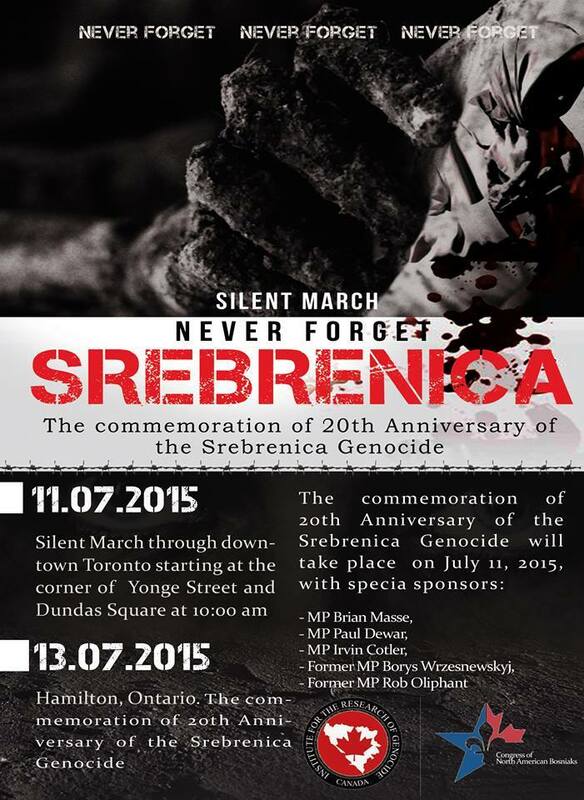 The commemoration of the 20th anniversary of the Srebrenica Genocide will take place on July 11, 2015, with special sponsors: MP Brian Masse, MP Paul Dewar, MP Irwin Cotler, former MP Borys Wrzesnewskyj, and former MP Rob Oliphant. 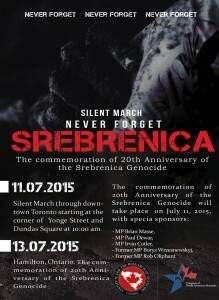 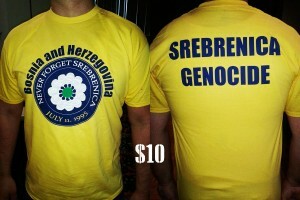 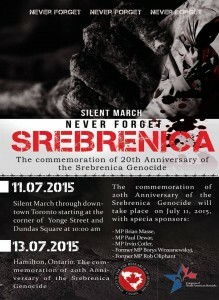 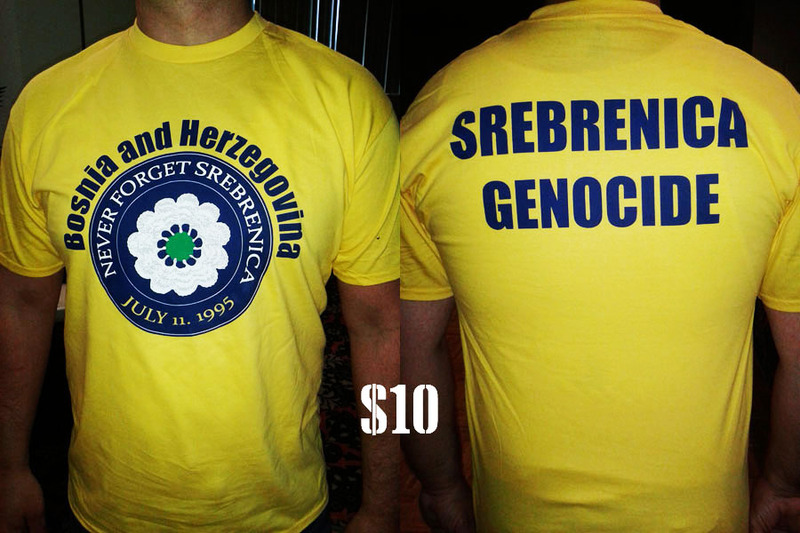 On July 11, in partnership with the Institute for the Research of Genocide, Canada (IGC) and the Congress of North American Bosniaks (CNAB), the Bosniak community of Canada will begin its commemoration of the 20th anniversary of the Srebrenica Genocide with a silent march through downtown Toronto, starting at the corner of Yonge Street and Dundas Square at 10:00 am. 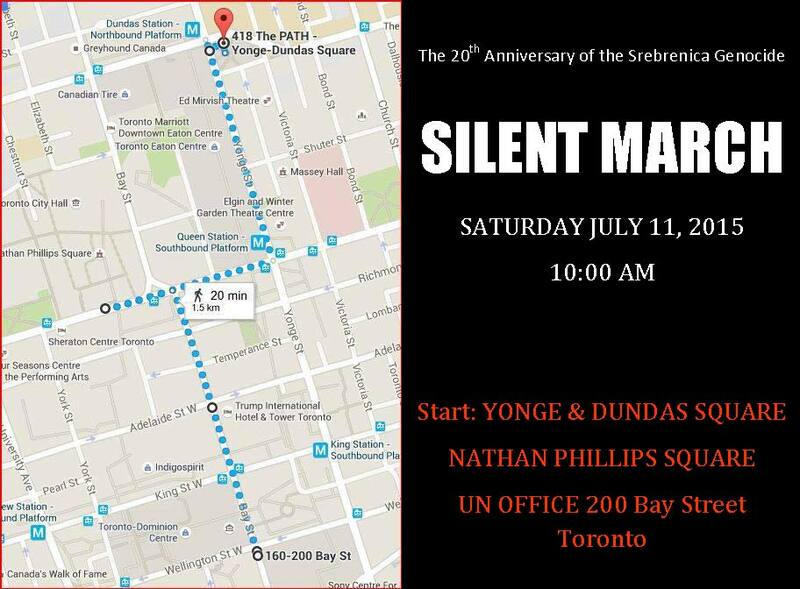 Participants will display the message “Never Forget,” asserting the need to adequately commemorate the loss of lives in Srebrenica.